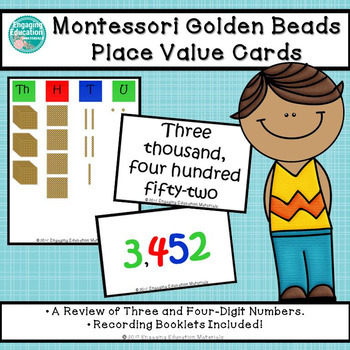 Students display their understanding of the Montessori Golden Beads by matching the place value pictorial representations to the numbers in word form and standard form. 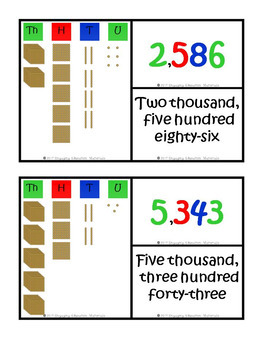 This product contains 10 matching card sets for three-digit numbers and 10 matching card sets for four-digit numbers. 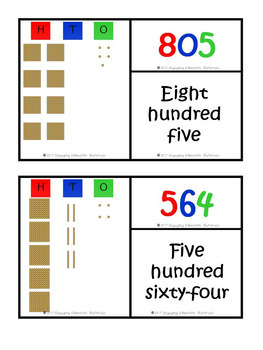 Two recording booklets are included, one for three-digit numbers and one for four-digit numbers. 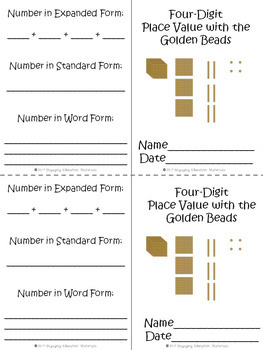 Students record each number in standard form, word form, and expanded form.